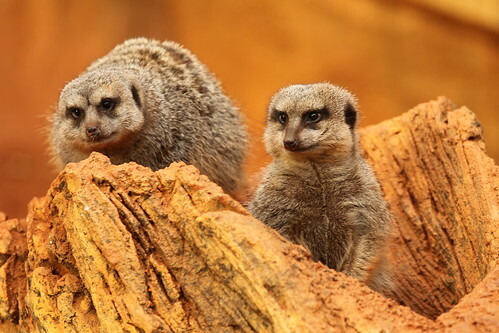 Small members of the mongoose family, meerkats have long, slender profiles, enabling them to easily dig and move in burrows beneath the surface. They have a tan coat and gray face, with darker ears and eye patches. They can reach 20 inches in length and weigh up to 1.5 pounds. 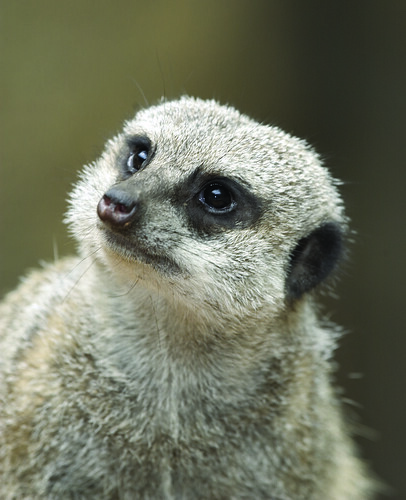 Meerkats are found in southern Africa, including South Africa, Botswana, Zimbabwe and Mozambique. 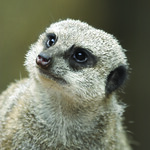 Meerkats are common throughout their range. 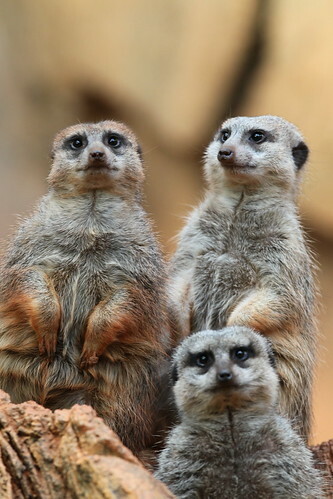 Lincoln Park Zoo participates in the Meerkat Species Survival Plan®, a shared management effort by zoos throughout the Association of Zoos and Aquariums. This burrowing species occupies savanna and open plains ecosystems, living in groups of 10-30 members. Adept diggers, they create networks of burrows beneath the surface for shelter. 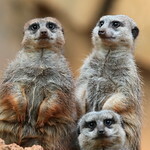 Small carnivores, meerkats venture from their burrows to find insects, eggs and very small animals to prey on. Insects make up the bulk of their diet. The species is immune to the venoms of certain scorpions and spiders found throughout their range, helping it to feed. Upon reaching maturity, males typically leave their packs to find another group to join or take over. Females begin to breed around 2 years of age. Young have a gestation period of roughly 11 weeks, and females can give birth to three litters a year under favorable conditions. Nonbreeding members of the group often help to rear young, monitoring dependent offspring as their mother forages for food. Foraging is a social behavior, and one member of the group often serves as a “sentinel,” standing watch for predators. 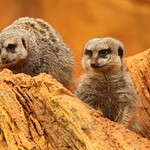 If hawks, eagles, jackals or other potential predators are spotted, the sentinel will give a bark, alerting the foraging meerkats to return to their burrow. Foraging is linked to soil temperature. When the sun warms the ground, meerkats are more likely to leave the burrow. When it is overcast or raining, they typically remain inside.